Whitney Florin, M.D. is a female cosmetic surgeon specializing in breast, facial, and body cosmetic surgeries and non-surgical procedures, such as non-surgical rhinoplasty, chin augmentation, and facial contouring with fillers. Dr. Florin is a third generation physician and views providing medical care as a privilege. She treats her patients with compassion and respect. 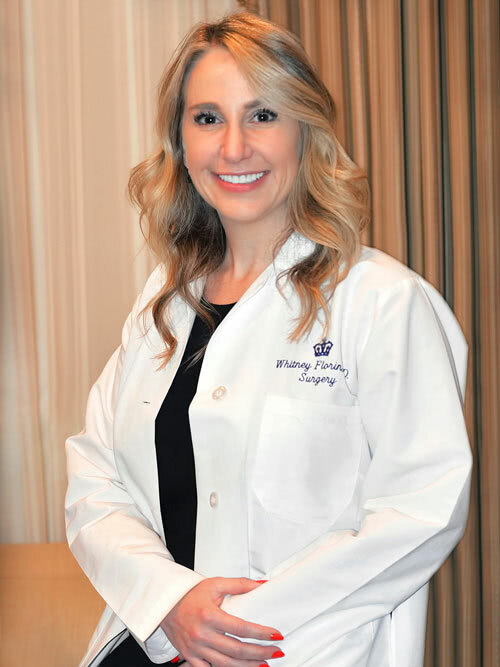 After her Cosmetic Surgery Fellowship at Inland Cosmetic Surgery, Dr. Haiavy was so impressed by her work and passion for successful patient outcomes the they invited her to join the practice. Read more about Dr. Florin's education and experience here.